We are pretty big comic fans in this house. And Marvel tops our charts of awesome. From attending San Diego Comic Con since before it was cool (we could literally walk up and buy badges the day of! ), to watching every Marvel movie that comes out on the big screen, we take our superheros seriously. 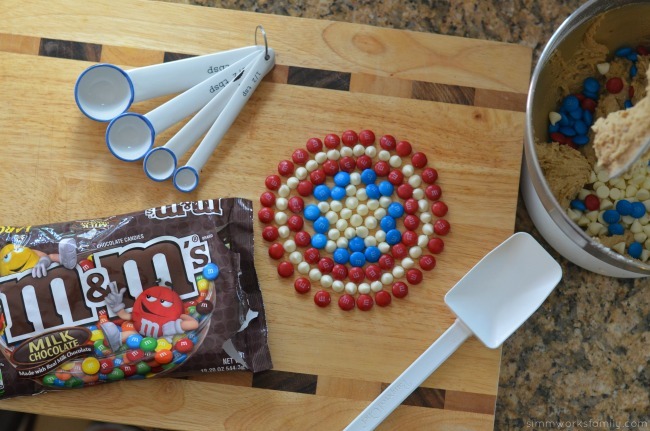 With the release of Captain America: Winter Soldier on Blu-ray/DVD on September 9th, we thought it fitting to have a family movie night superhero style with delicious M&M’s® inspired treats. So I piled up our favorite Avengers movies – including Avengers, Captain America, The Hulk, Iron Man, and Thor – and let the kids choose which one they wanted to watch. 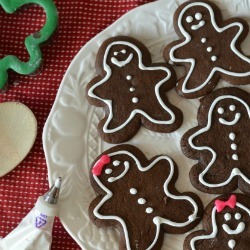 While they were choosing I got to baking! After picking up a few goodies at Walmart – including a few bags of M&M’s – I was excited to try a new cookie bar recipe. I also decided that cookie bars just weren’t enough. We needed a whole movie night spread! 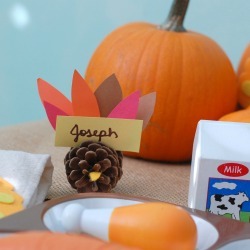 And what’s so great about a spread of food without some decorations in there as well. 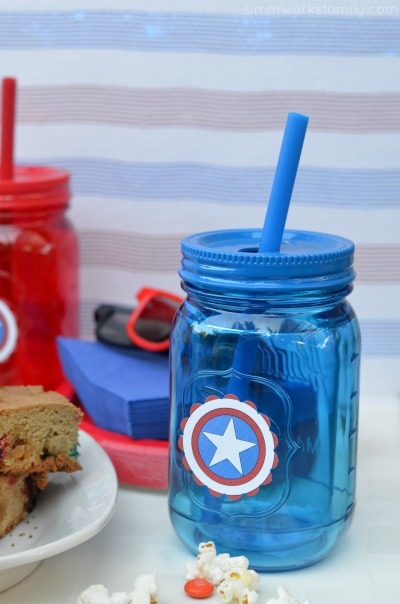 I found a Captain America shield image and printed it out to use on a few of the snack boxes and the drink cups we were going to use. It was as simple as copy and paste! 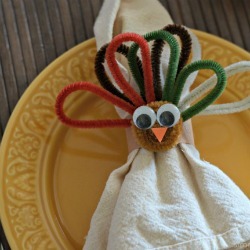 Adding a few plates and napkins and some 3-D glasses pulled everything together quite nicely. 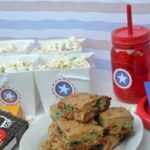 Some of my favorite movie night snacks are ones that are a mix between sweet and salty. So I’ve incorporated some sweet and salty into our popcorn snack for movie watching. We make our own popcorn on the stove with coconut oil so adding in some M&M’s and coconut flakes takes ordinary popcorn to the next level! Our family is a pretty big cookie family. But we can never eat just one. 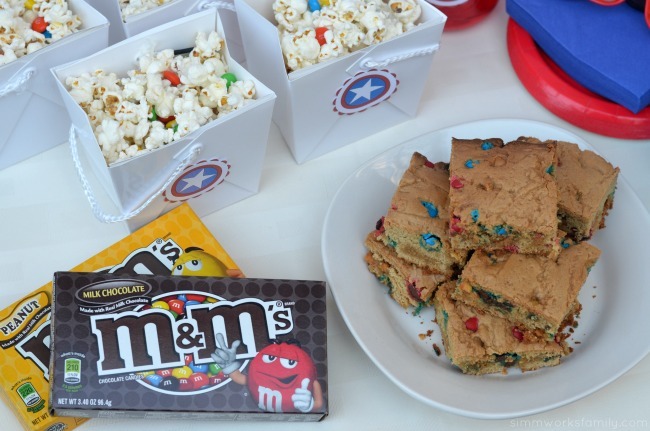 So I decided to make a whole pan of cookies with these M&M’s Monster Cookie Bars. Not only were they absolutely delicious, but they paired perfectly with the popcorn. And what movie night is complete without a few boxes of candy? Plain M&M’s for my husband and son and Peanut for me and my daughter. Place the oil in a large pot on medium heat. Once the oil is hot, add popcorn to the pan and cover with a lid. Shake the pot over the stove until the popcorn finishes popping, approximately 3 minutes. Remove the pan from the heat and sprinkle salt over the popped popcorn. Melt the butter in the microwave. Slowly drizzle over the popcorn and toss with a spatula. Top with M&M’s and shredded coconut and toss to incorporate together. Serve immediately. Preheat oven to 350 degrees and coat a 9×13-inch baking dish with non-stick spray. In a medium bowl, use a wire whisk to mix flour, baking powder and salt. Set aside. Using a mixer, cream butter and sugar together until blended. Add eggs one at a time and mix until incorporated. Then add vanilla and mix. Slowly add the flour and mix until combined. Stir in white chocolate morsels, M&M’s, and coconut. 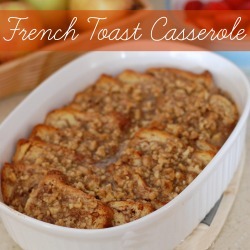 Spread into prepared pan and bake for 40 minutes until done. If the top starts to get too brown, you can cover the top with a sheet of aluminum foil for the last 10 minutes of baking. Once cool, cut into 15 bars. Do you love superheros as much as my family does? Well then you will have to visit www.heroeseatmms.com (coming soon!) and take the quizzes on the homepage: “Which MARVEL® Super Here Are You?” or “Which M&M’s® Character Are You?”. Let me know the results in the comments below once you’ve taken the quizzes and then enter the giveaway below! 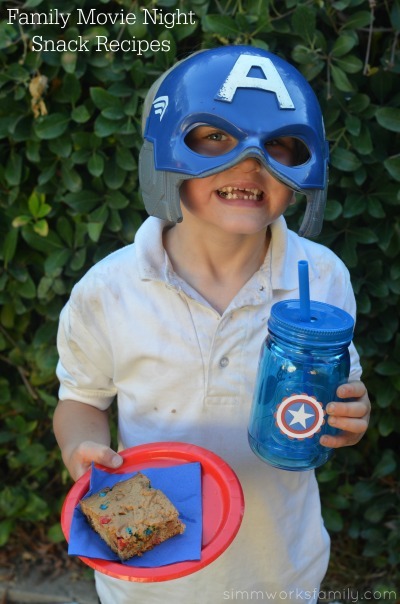 I already know what my little super hero’s results would be… he’s all about Captain America! 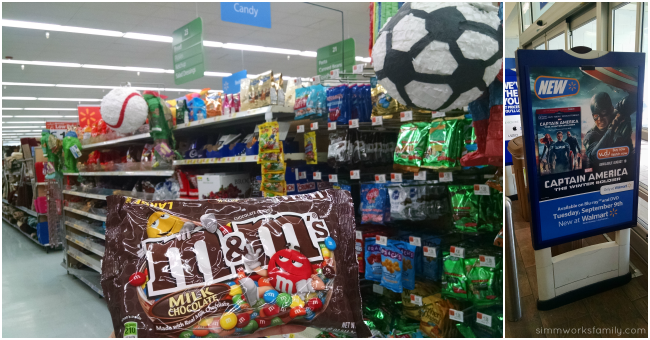 You can find the M&M’s products featured in my post in the Candy aisle at Walmart. I also scored those cute popcorn containers (really take-out boxes with the tops cut off) in the party decor section and the plastic mason jar cups in home goods! 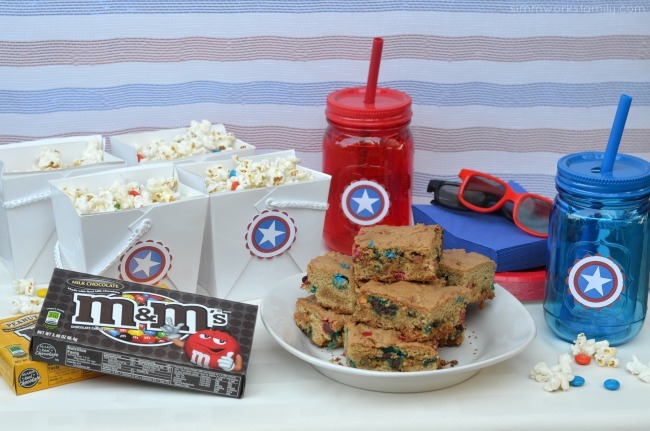 Everything you need for an awesome superhero family movie night! 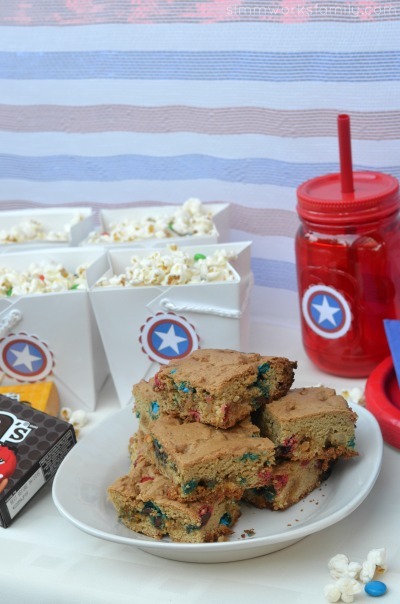 What are your favorite snacks for family movie night? 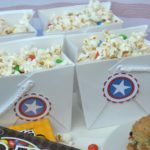 Make movie night a bit more fun with this awesome giveaway! 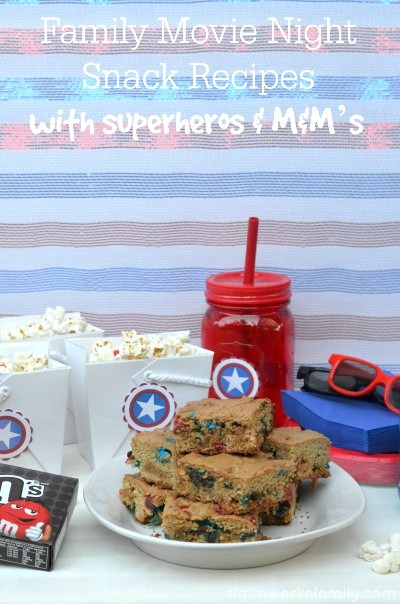 Monster cookie bars…. talk about YUM!! 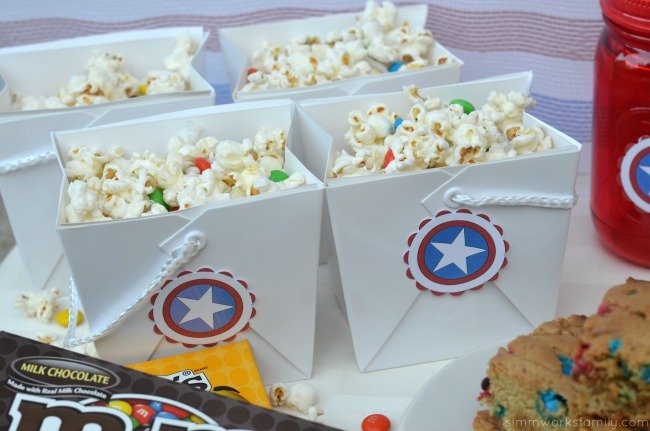 I love the popcorn idea and how much fun to make this a whole day event being super heroes. Thanks for the great inspirations. We are big on popcorn and sweets in our house, but I would never have thought to put them together. This looks like a great spread for a super family night in! OMG! I love everything about this. So fun.